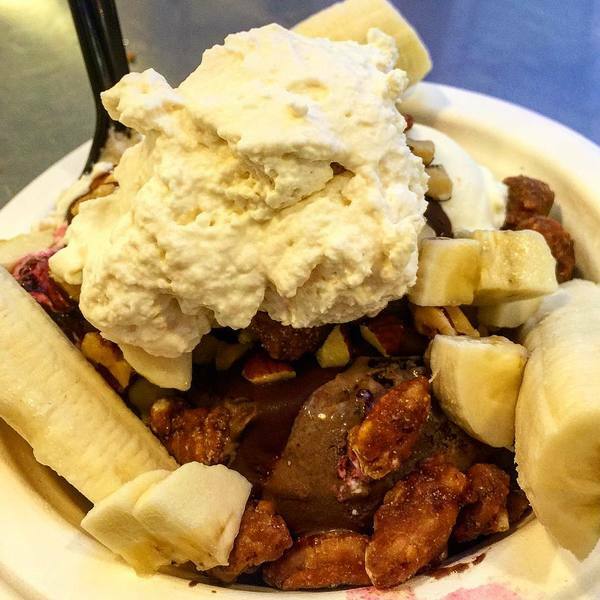 "My banana split obsession continues! In love with the ice cream at McConnell's. Thought I'd only eat half...."
Pie, pancakes, and...dolphin daiquiris. Yeah that's right.